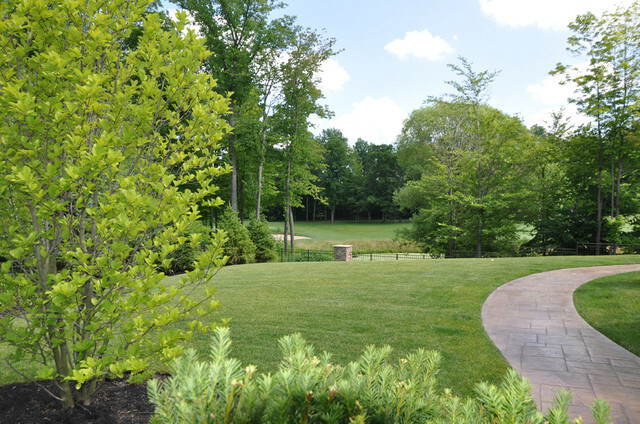 Recognized by the Ohio Nursery & Landscape Association and the Ohio Landscape Association for Design Excellence. Award winning landscape architectural design services for private residential and select office/commercial/institutional projects. In our creative process we will help clients make value-based decisions while maintaining the beauty and aesthetics of the design. Whether it is a simple planting plan or a set of detailed construction documents, we will work with our clients to implement their project and vision. Responsiveness is our priority. Through mutual respect and collaboration, we hope to create a sustainable, lasting, and beautiful design that meets the value and needs of our clients. Lindsey W. Baker is a licensed landscape architect and the owner of LWB Design. She holds a Master of Landscape Architecture from the University of Virginia and a Bachelor degree in the Environmental Sciences. In addition to residential landscape design, Ms. Baker's past professional experience also includes design, construction documentation, and project management of high-rise residential roof gardens, mixed-use development, office parks, city center & street master plans, institutional landscapes, park master plans, as well as earlier projects in D.C. involving lighting guidelines, perimeter security studies, national memorial and arboretum. Grand & Merit Awards Winner in Residential Design & Installation over $50,000 by Ohio Nursery and Landscape Association (ONLA). Honor & Merit Awards Winner in Residential Design & Installation with a Swimming Pool by the Ohio Landscape Association (OLA).